A letter from Mr. O’Connell along with the class teachers for the 2015/16 school year are now available to view in our Notice Board. We would like to wish you a safe and relaxing summer break and look forward to seeing you on August 27th. 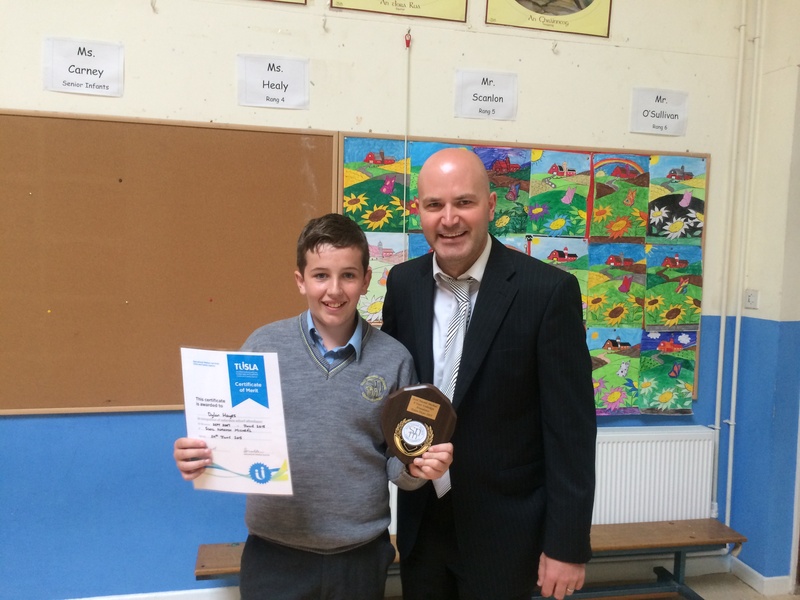 Well done to Dylan Hayes in Rang 6 who was today awarded for his 8 years unbroken attendance in Scoil Naomh Micheál. This is a fantastic achievement and great credit is due to Dylan and his family! 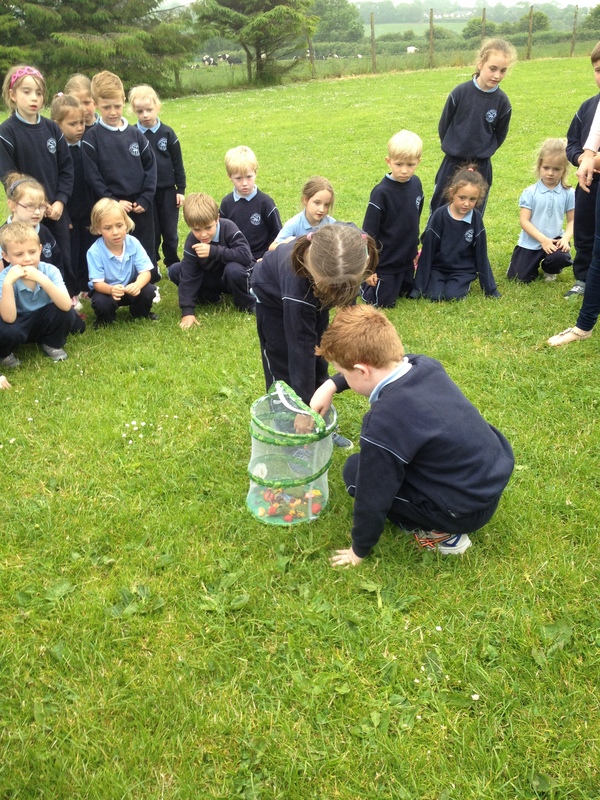 Today Junior and Senior Infants released their five beautiful painted lady butterflies in the big field. 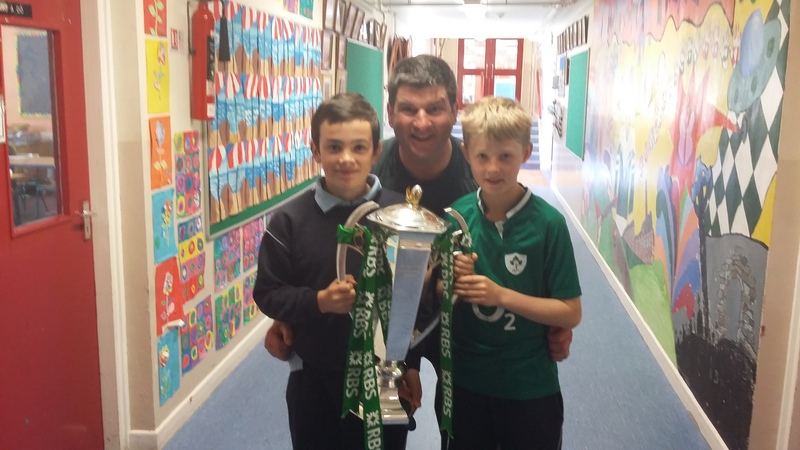 Have a look at the science link in Mrs Murphy’s page to see photos of each stage of their wonderful transformation! 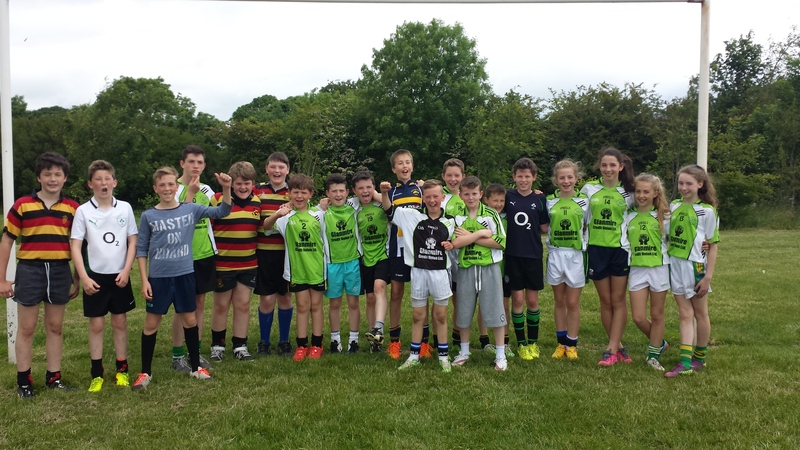 On Wednesday of last week we were invited to send teams from 4th, 5th & 6th classes to a Tag Rugby blitz in Old Christians. They children had a great time in the sunshine and represented the school with pride! Thanks to all at Old Christians for a great day! On Friday 19th June, all classes in our school took part in a sports for all day. Thanks a million to Ms. O’Brien and Joan for organising the event and to Rang a Sé for helping out on the day. Everyone had great fun. Check out the gallery page for photos from the day. 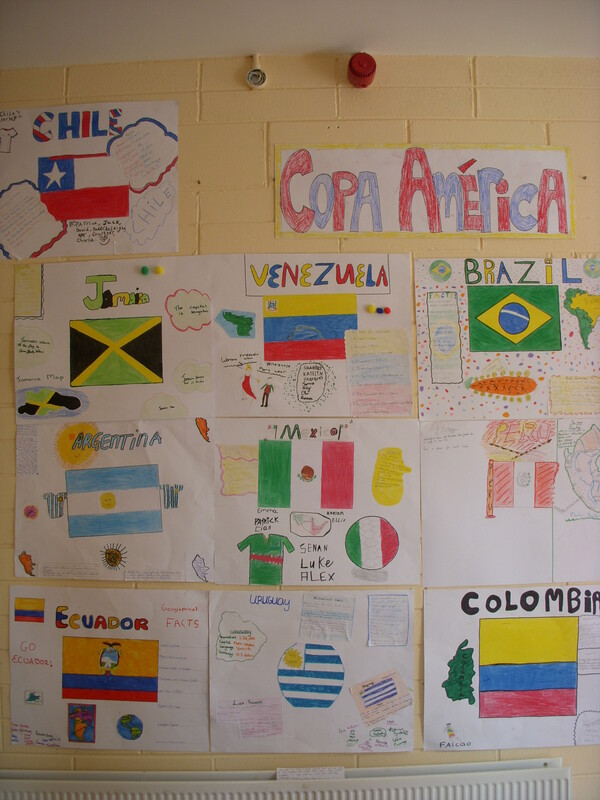 The children in 4th, 5th and 6th class gathered during the week to design a mini-project on the Copa América Tournament which will take place next Monday in the school. Rang a Dó had great fun learning about orienteering today. Click on the photo below to read about our experience. Féach ar an suíomh seo. (Look at this site)..
On Monday our Junior and Senior Infants took advantage of the recent fine weather to have an art lesson in the school yard. 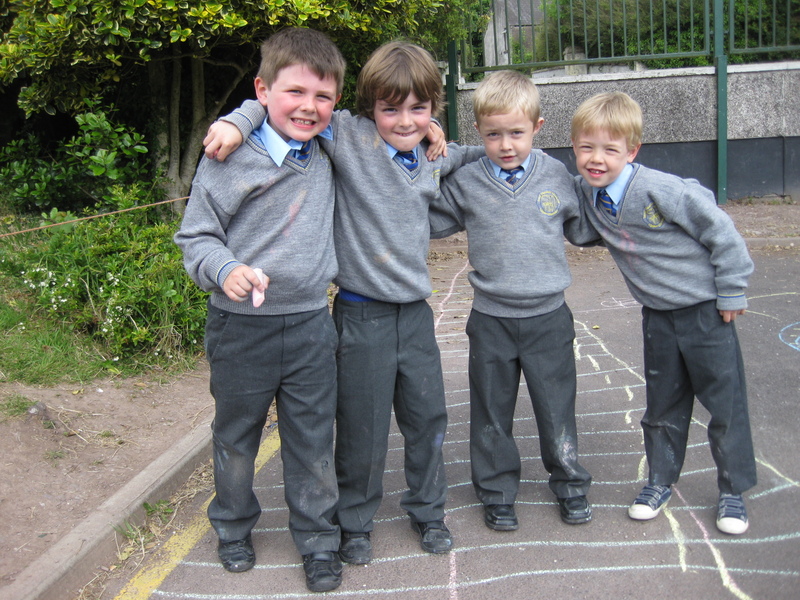 The children were very creative and used their chalks to brighten the surface of the yard. Hopefully the rain will stay away and we will get to admire their creations for even longer! You can find pictures in Ms. Flanagan’s page in the menu bar at the top of this page.